Visit the official website of OJEE and click on the link 'Download Rank Card'. Enter the Roll Number and click on the link "Continue". Download, and take printout of the result. Rank /Score Card: The OJEE rank card will be available online on the official website. The rank card will contain some vital details like the candidate's name, roll no, marks obtained in subjects and the aggregate total. Merit List: A merit list will be prepared on the basis of candidate’s performance. Official site: The result for OJEE 2019 will be available online under the result link on the official website ojee.nic.in 2019. The OJEE 2019 results are expected to release on 4th June 2019. Credentials: The candidates are required to enter their Registration Number given on the admit card to access the OJEE 2019 result. Note: There will be no mark sheet posted or emailed to any of the selected candidates. Print & Preserve: Take a printout of the result copy for future use. Step 1: The candidate has to visit the official website of OJEE 2019. Step 2: As candidate opens the home-page candidate can find the OJEE 2019 Result link as shown above in green box. Step 3: Click on the link "Download Rank Card"
Step 4: Candidate will be taken to the next page where he/she as to enter Roll, Date of Birth (DOB) and Verification code in the provided space. After that, Click on the submit button. Step 5: Candidate's OJEE 2019 Rank Card will be displayed. 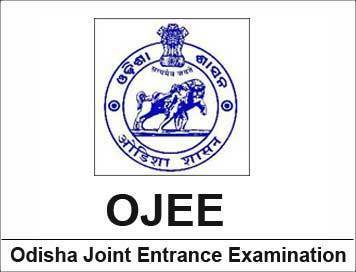 Step 6: OJEE 2019 Rank Card will contain candidates marks and rank of the candidate in the Odisha Joint Entrance Exam. What is the OJEE cut-off for the Central Institute of Plastic Engineering and Technology? Should I enter my registration number to access the OJEE 2017 results? Yes, candidates should enter their roll number to access the OJEE 2017 results. What is the MBA Cutoff for Dhenkanal Autonomous College? Where can I get the results for OJEE? It will be available online under Result link on the official website. Expect the result in June. Use your registration number given in the admit card to access the result. There will be no mark sheet posted or emailed to any of the selected candidates. For notifications on results, keep checking the website for updates. Take a printout of the result copy for future use. What is the cut off for MBA in Berhampur University, Bhanja Vihar? When will the OJEE results be declared? The result will be declared in the first week of June 2017. The result will be declared by the Joint Entrance Examination Cell, State Government of Odisha. OJEE 2017 Result and Rank Card will be available at the official website of OJEE 2017 only.